Posted by Sam at 12:11 a.m. 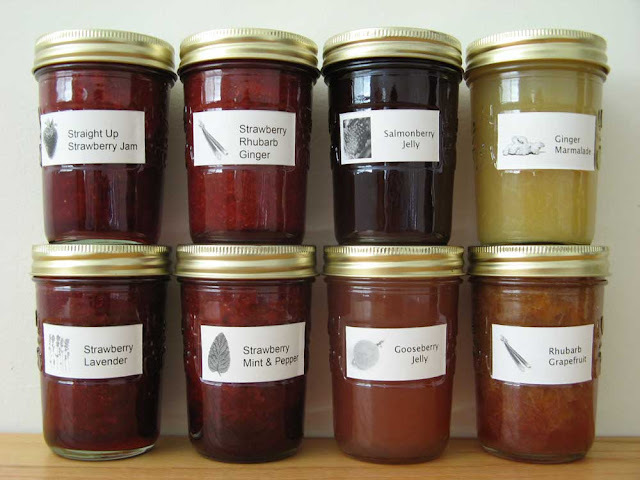 I like the idea of making jam, I just don't have a proper canning set up so I end up having to do that boiling water thing and I'm always worried about putting not enough or too much jam in the jars and somehow poisoning myself or someone else because the jars weren't sealed properly. THat being said, I have still attempted canning on a few occasions, the most successful attempt being making relish with my mom, we have the best zucchini relish ever. We gave canning a try last summer and were pleased with the results. 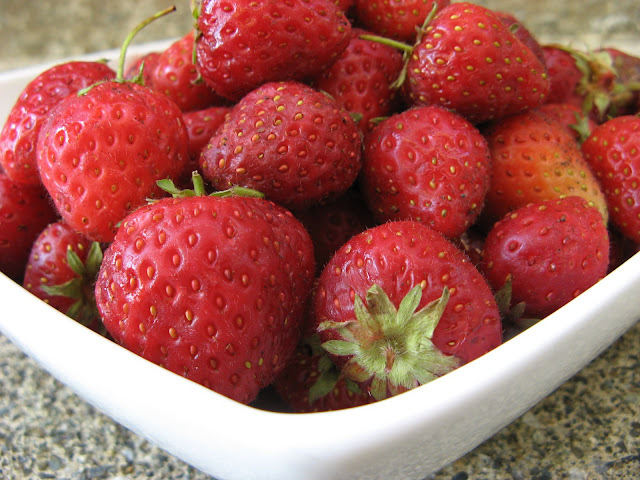 We love the idea of picking a wide array of fruit and berry combinations and figuring out what works best. As you mentioned, they make great gifts too! Ah, jam. Good for you. That's something I need to make more of. Wow, so impressive, all these jams!! I wish I could have a taste of the strawberry-mint & black pepper one!! Your jams are so inspiring...beautiful!